Of course you are free to create and use your own custom icons (ICO files) for your buttons. 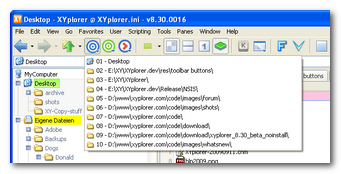 With regard to the script, multi-line scripts are supported as well as multi-script resources, so your button can do everything you can do with XYplorer scripting. You could e.g. 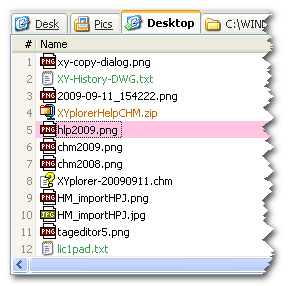 popup a little menu with applications to open the selected files with, or with locations to go to, or destinations to copy files to, or with scripts to run, etc. 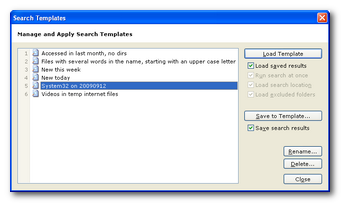 Search Results Caching, Part 2. 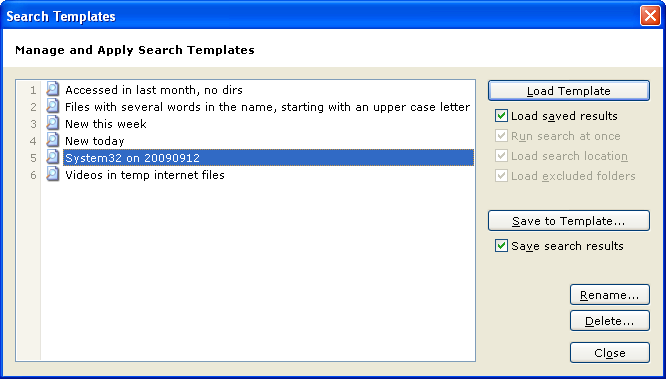 Now you can store search results in a file and load them back into the list at any point in future via the Search Templates dialog. History and Recent Locations. The implementation of these important navigation tools has been redesigned from scratch. 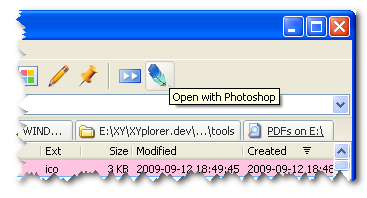 Toolbar. New button "Recent Locations" pops a menu with the 10 recently used locations. Line Numbers Column. Width now auto-adjusts based on the number of items in the list, and the color is now fully configurable. Cleaner Menus. The main menu has been reorganized to improve usability.